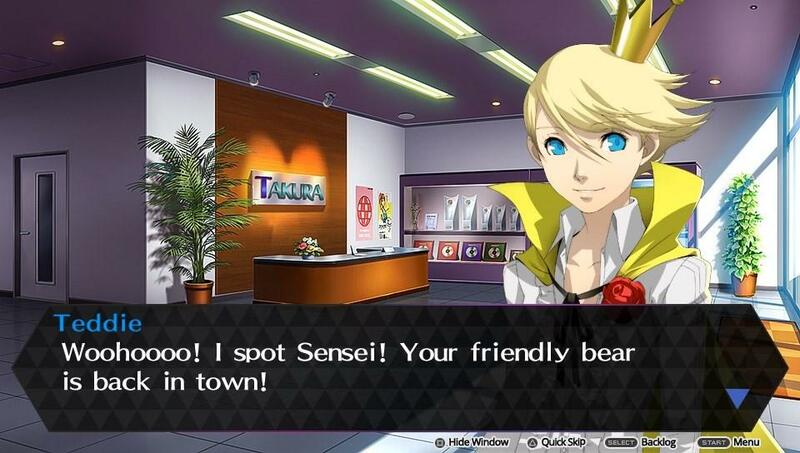 I’m a big fan of the Persona series, and Persona 4 holds a special place in my heart. 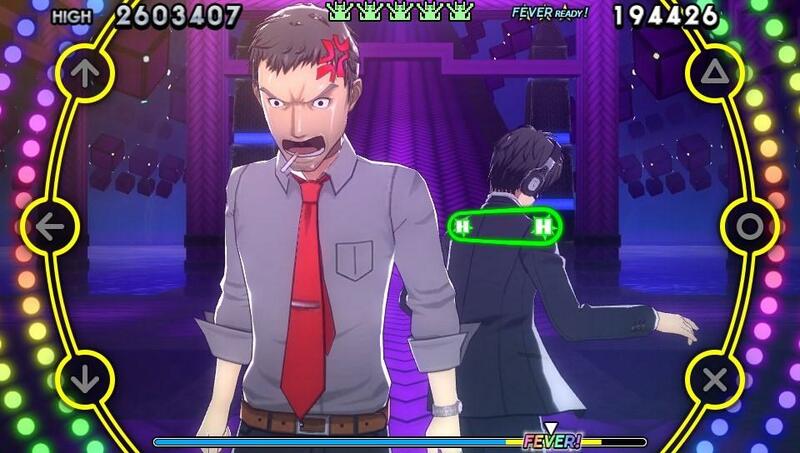 That’s why it’s kind of tough to turn in this review for Persona 4: Dancing All Night. 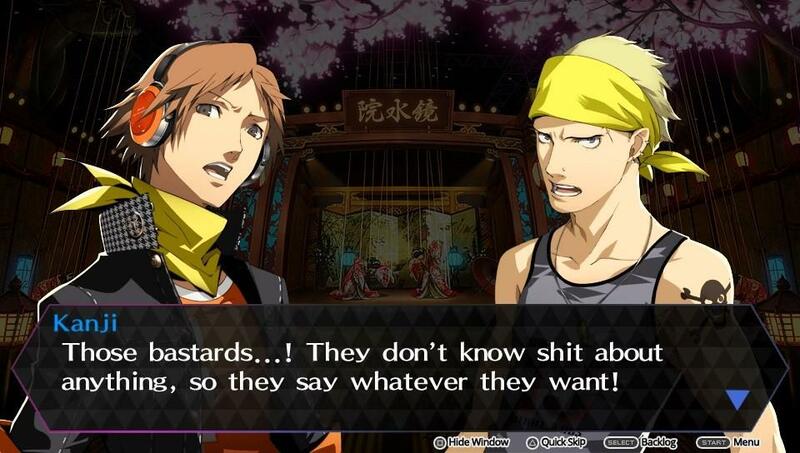 On the one hand, Persona 4 has had some of the best music in the series. On the other, the absurd judgment system makes this one of the most difficult music titles I’ve ever played. I remember thinking Elite Beat Agents was tough, but now we have a new champion. 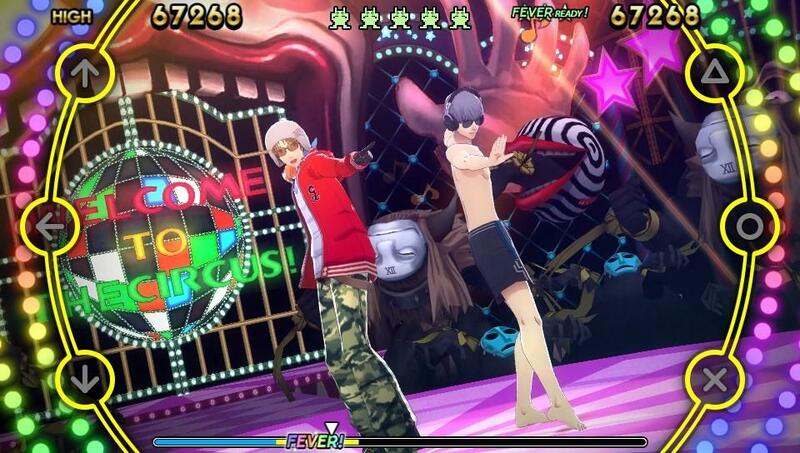 Persona 4: Dancing All Night has its heart in the right place, but a couple of design decisions really hold this one back. 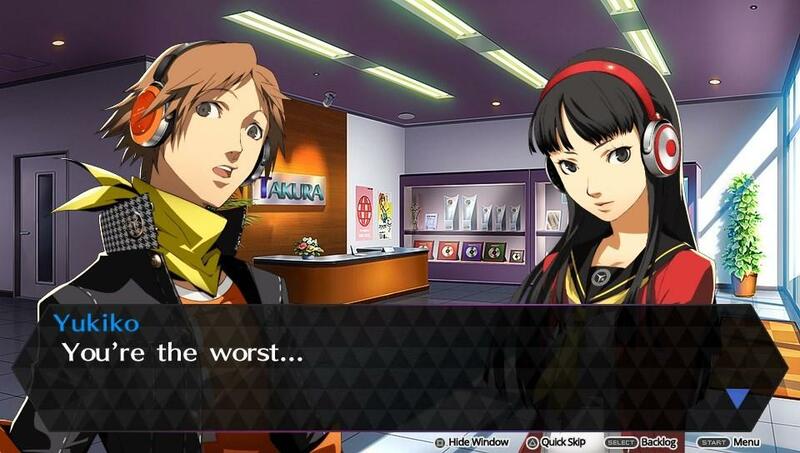 It wouldn’t be a Persona 4 title if it didn’t have a story. 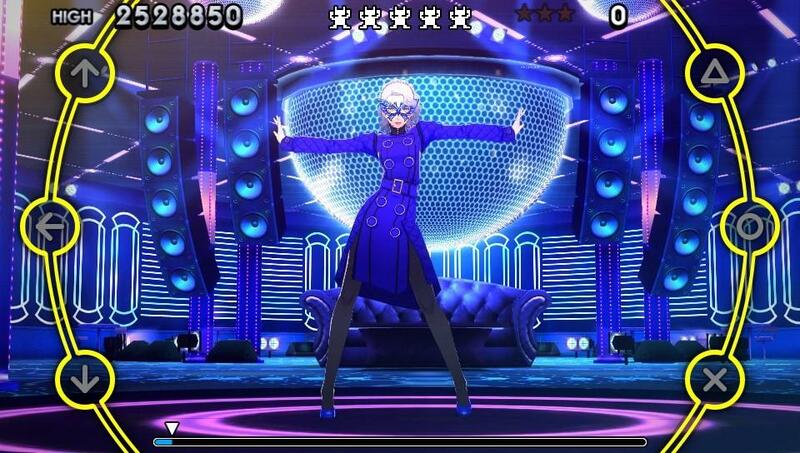 Like Persona 4: Arena, Dancing All Night introduces a new character to the Persona 4 universe. 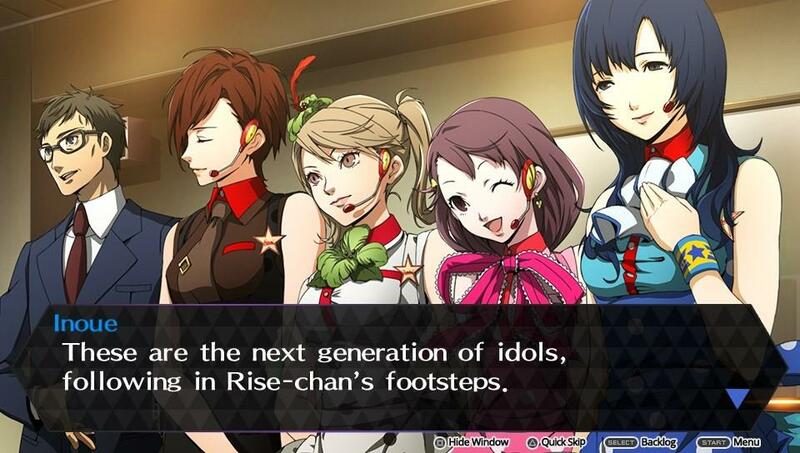 Kanami Mashita was a character hinted at in past games, the rival to Rise, who would go on replace her as an idol after Rise took a break from being Risette. 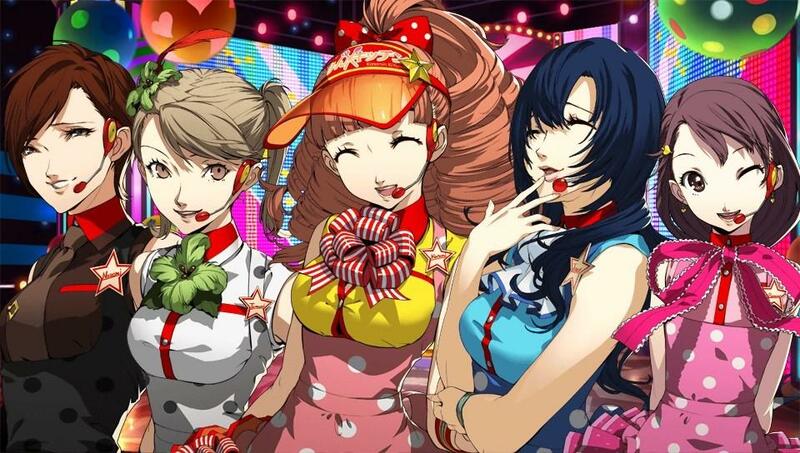 The story takes place after the events of Persona 4: Golden, Rise has decided to participate in an upcoming festival with Kanamin Kitchen, the idol group backing Kanami Mashita. But the members of Kanamin Kitchen have gone missing, and the event is just a few short days away. The Investigation Team is on the case, which means venturing into a world similar to the TV world, but something is not quite right. 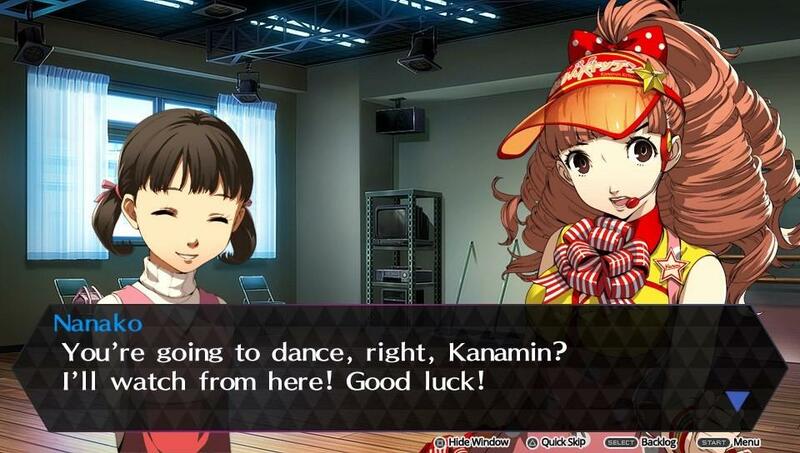 Like the previous games, there’s an underlying message about being true to oneself, and Persona 4: Dancing All Night is no different, although this time it is more about forming bonds, and gets into depth about the lifestyle of idols in Japan, and how it can be a rather suffocating business, so it’s one part self-help manual and one part social commentary. 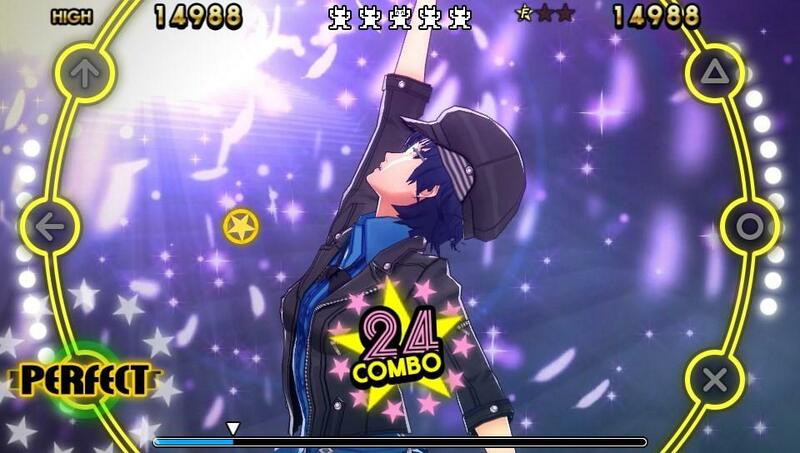 Visually Persona 4: Dancing All Night is impressive, but when you’re performing a song, the visuals are top notch. Character models are detailed and expressive, and the presentation fits within the style perfectly. This is one of the best looking games on the Vita to date, but even that has to take a backseat to the tunes. 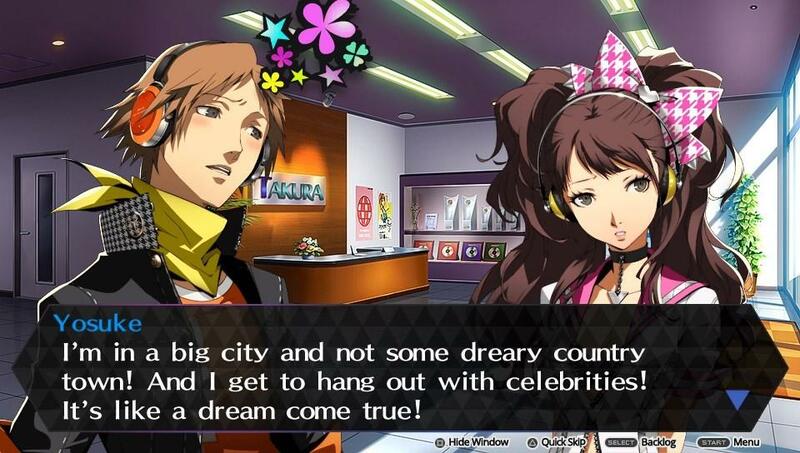 The visual novel aspects of this game are what we’ve come to expect from Persona games, which is a whole lot of dialogue, featuring a new voice actress for Rise, and what sounds like a phoned in effort from some of the other cast members. While the story mode is shorter than in previous games, it keeps the story from getting too long in the tooth, but it also exposes one of the critical flaws in the game, the short setlist. 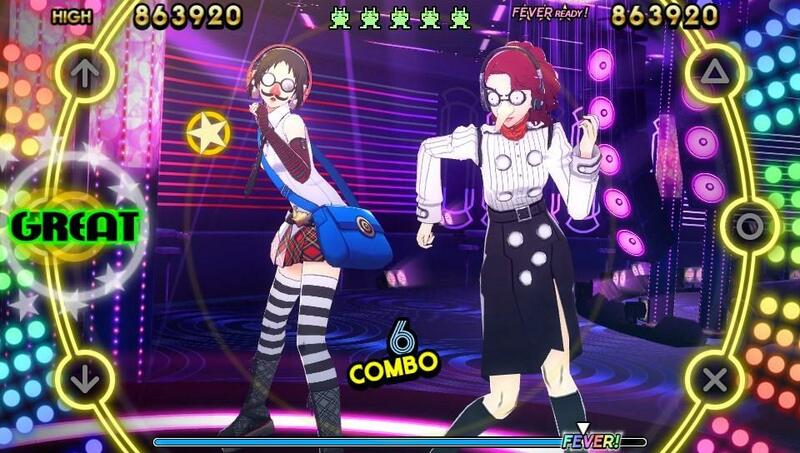 Persona 4: Dancing All Night is all about the music of Persona 4, so if you weren’t a fan of the music, then you might just want to tune out now. But for those out there who are fans of Shoji Meguro’s tunes, then this game will be right up your alley, but it will be over rather quickly. There are just twenty-seven tracks total in the game before DLC items. Some of these tracks are the original, and a remix or two, but the theme of Persona 4, Pursuing My True Self takes up three of the tracks in the song list. The remixes for the most part are good, with maybe one or two duds. If you follow Japanese electronic dance music then you’re in for a good time with artists like Shinichi Osawa, banvox, and Towa Tei offering up remixes. Then you’ve got famed game composers like Akira Yamaoka, and Yuu Miyake contributing as well. There’s one track to unlock that you’ll earn fairly quickly, after that the only way you’re getting new tracks is through DLC. Some of the DLC tracks offered include the opening and ending tracks to the Persona 4 animation series, along with a few extra remixes here and there. The opening and ending tracks are great and all, but they’re only the TV-sized versions, making them shorter, and subsequently more difficult to clear. For the gameplay, Persona 4: Dancing All Night uses three buttons on each side of the PSVita, or you can use the touch-screen to play, which I don’t exactly recommend. The active area that you can tough for each button is rather small, making for easily missed notes. Notes will move from the center of the screen out toward their respective button. It’s a serviceable system that also provides a decent challenge. Where things get to be a bit annoying is in the actual judgment and clear requirements. There’s a meter in the center of the screen denoting the dancing Shadows, and its color changes depending on how you are doing. Finishing a song with the Shadows being in Red through White means you don’t clear the song. Green or rainbow colored and you’re good. The problem is that missing more than two notes near the end of a song means you fail. 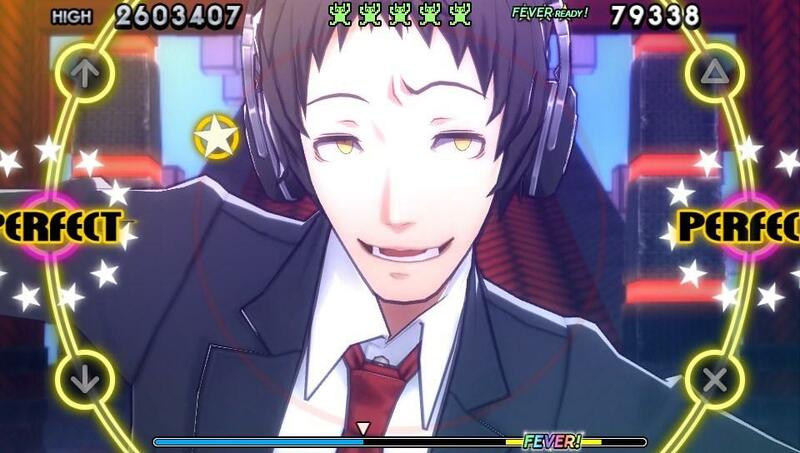 Nevermind if you had a full combo going up until that point, you might as well restart. The other side of that is that if you blow a song early, you could play perfectly through to the end and still fail a song. There are modifiers that you can use to clear songs more easily, but that means you’re going to be giving up currency that you’ll need to unlock outfits and items. You can also use modifiers to make things even harder and in turn earn more currency per song clear. If this game were a little bit more generous with the grading system then I wouldn’t be as down on this game as I am. But by the time you reach the higher difficulties, if you aren’t nearly full combo-ing songs, then you’re not going to be clearing them. Persona 4: Dancing All Night is a great first effort for a franchise that is trying to branch out and try some new things. There are a couple of missteps here and there, but it’s a good foundation, and hopefully the DLC can also expand the experience, because the short song list, and crushing difficulty can be a dealbreaker when it comes to music games. 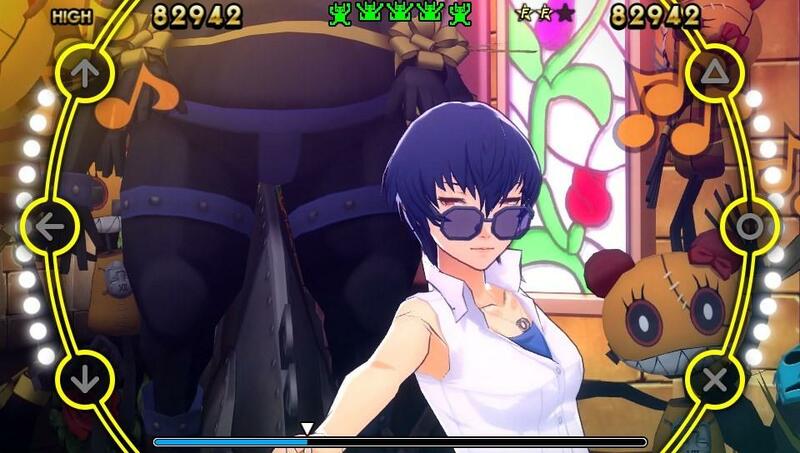 If you were even the slightest bit interested in Persona 4: Dancing All Night I would say that you should give it a shot. It’s a fun game, and the story fits the universe pretty well. Now if you’ll excuse me, I’m this close to finishing the set list on All Night difficulty. 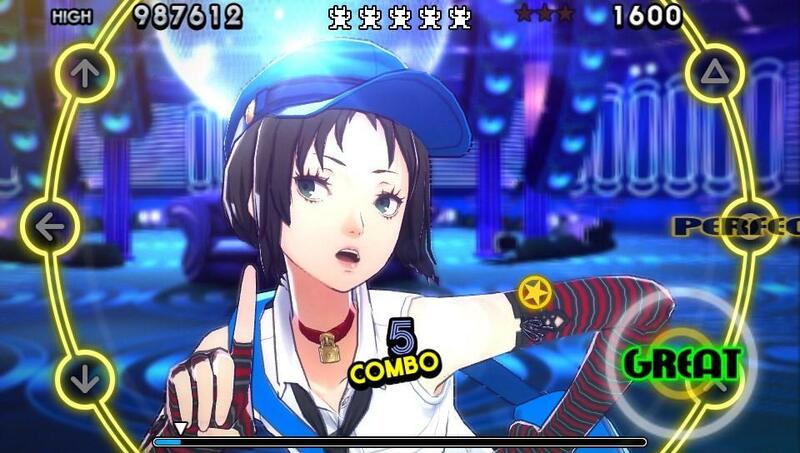 Persona 4: Dancing All Night has some big negatives against it, including a short song list and rough difficulty. But it's a ton of fun, the music is great, and the visuals are top notch. 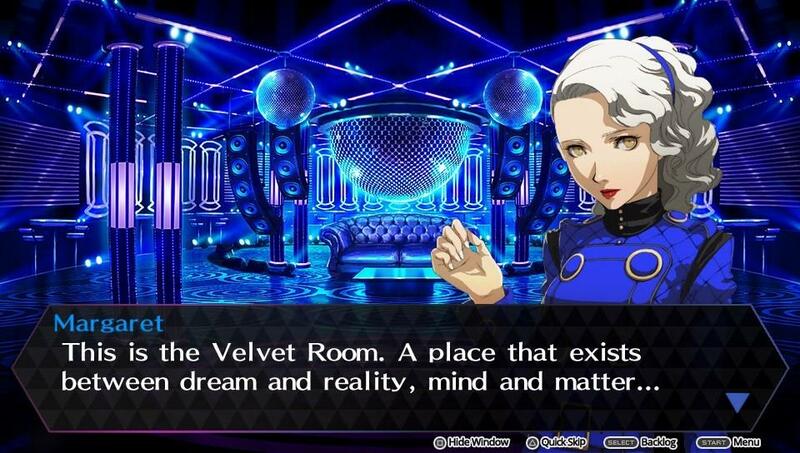 It's great for Persona fans. But, for everyone else, it's a tough sell.